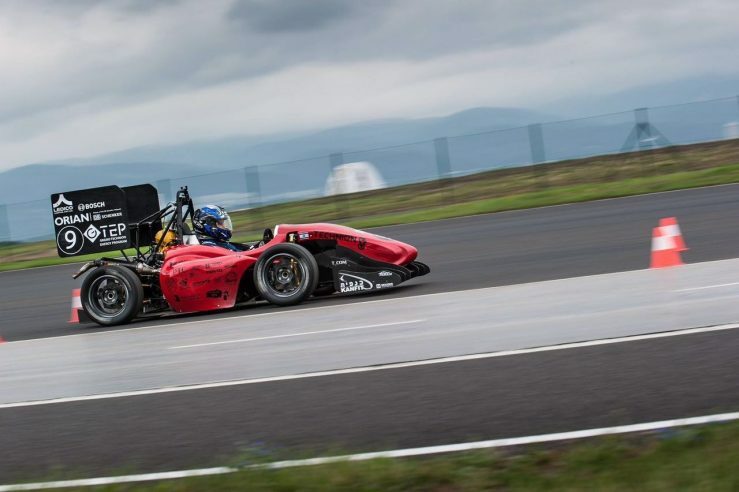 Formula Student Team, Sponsored by the Grand Technion Energy Program, Finishes in the Top 10 in European Competitions. 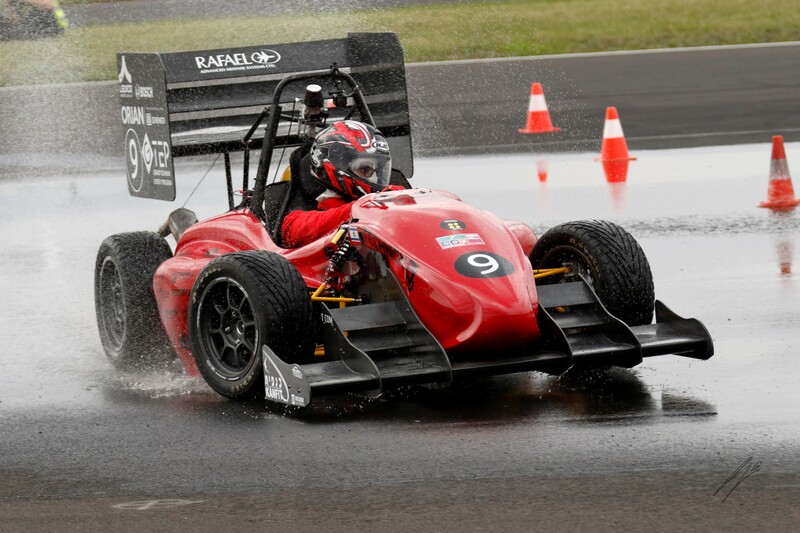 Technion’s fourth Student Formula team finished twice in the top 10 in the Formula Student competitions held this summer in Europe. In the competition in Hungary, the team finished in 9th place (out of 34 universities) and in the Czech Republic in 8th place (out of 42). Ranking was based on criteria such as business plan presentation, circling the track, a 22 km heat (endurance), driving in figure eights, fuel efficiency and acceleration to a distance of 75 meters. 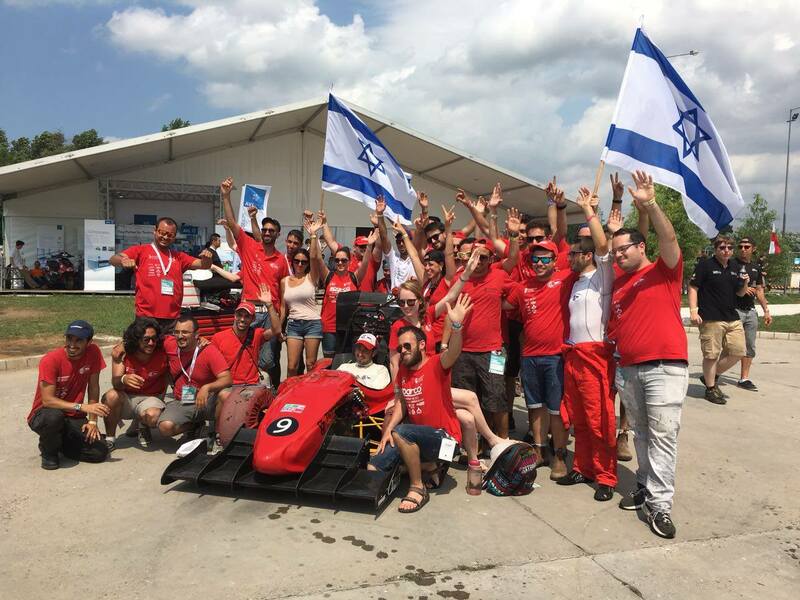 This year, the Formula team comprised 40 students from seven different faculties at the Technion, some of them longtime participants and some for the first time. “We started with an idea and sketches,” says Guy, “and we continued with creative solutions, major challenges, debates and experiments into the night – and slowly we saw the car take shape. The idea led to the design, including designing the tools that we used, and we ultimately reached the training and the competition stages. On the way we learned a lot of things. The main thing we learned is that there are no magic solutions in engineering.” Guy, who led the project, will step down in favor of graduate studies at the Faculty of Mechanical Engineering, and will hand over the keys to student David Diskin, also from the Faculty of Mechanical Engineering.